Flight VA247 opened 2019 following a year that marked 11 missions across the Arianespace fleet. 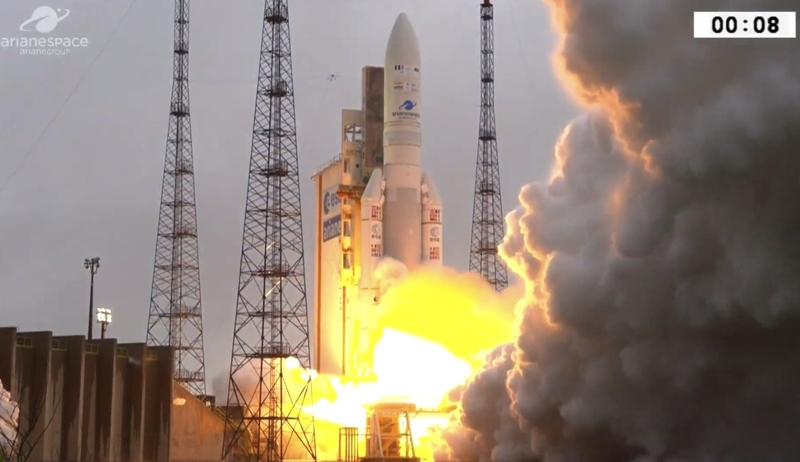 Six used the heavy-lift Ariane 5 – which is one of three launch vehicles operated by Arianespace at the Spaceport, along with the medium-lift Soyuz and light-lift Vega. A total of 57 metric tons was placed into orbit for 13 different customers. 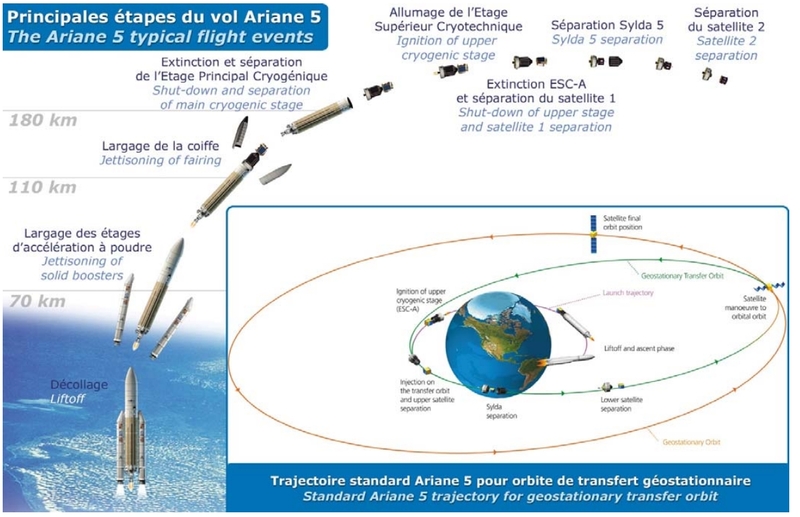 This year opening mission with the Saudi Geostationary Satellite 1/Hellas Sat 4, a condosat for KACST (and Hellas Sat; along with GSAT-31 for the Indian Space Research Organisation (ISRO) was the 103rd Ariane 5 mission – the 70th with an Ariane 5 ECA version. This latest mission involved a total payload of approximately 10,052 kg. This total included the two satellite passengers, plus the vehicle’s dual-payload deployment system and integration hardware. The first satellite to be deployed was the upper passenger on the stack, the Saudi Geostationary Satellite 1/Hellas Sat 4, also called HS-4/SGS-1. This is a dual payload geostationary condosat for KACST (King Abdulaziz City for Science and Technology– Saudi Arabia) and Hellas Sat (Greece – Cyprus). With a mass of 6,495 kg, HS-4/SGS-1 will provide telecommunications capabilities, including television, Internet, telephone and secure communications in the Middle East, South Africa and Europe. Since the launch of Arabsat-1A in 1985, HS-4/SGS-1 will be the 22nd satellites orbited for the Middle East region, accompanying the development of middle-eastern space programs. 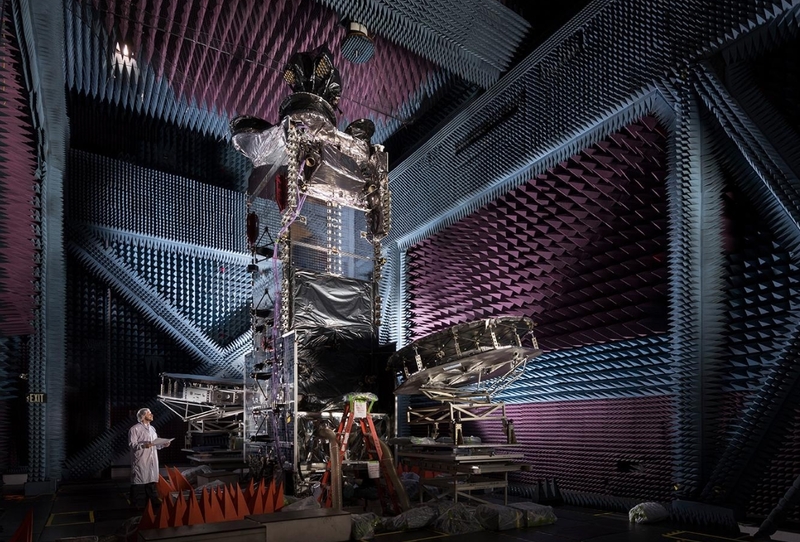 Lockheed Martin Space designed, assembled and integrated the HS-4/SGS-1 satellite in its Denver, Colorado and Sunnyvale, California facilities. It is based on their modernized A2100 platform. HS-4/SGS-1 was the 46th Lockheed Martin satellite to be launched by Arianespace, whose backlog comprises one additional satellite built by the American manufacturer. This satellite was deployed 27 minutes into the launch phase. Installed as the lower passenger and deployed last during this mission, GSAT-31 is an Indian satellite with a mass of 2,536 kg. Despite India’s growing capability with its domestic rockets, it still has to outsource several high-performance missions to overseas launch providers. As such, this launch followed hot on the heels of GSAT-11 that utilized the final Ariane 5 launch of 2018. GSAT-31 is a telecommunications satellite designed and manufactured by the Indian space agency. 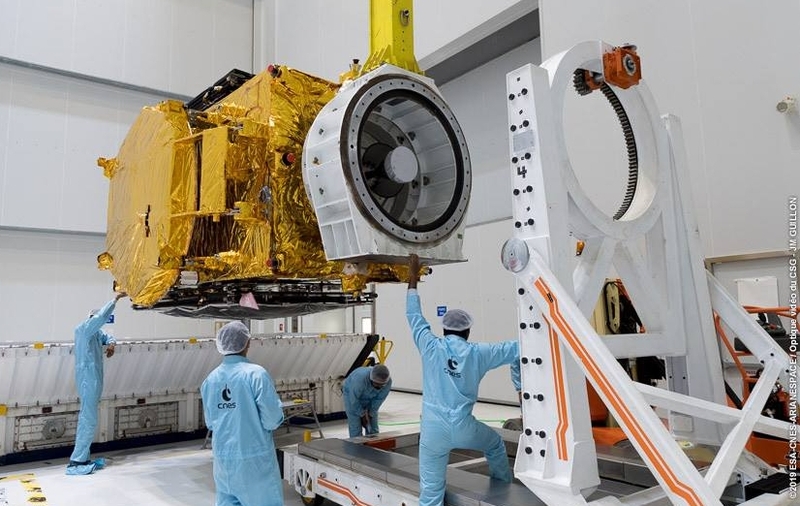 To be positioned at a longitude of 48° East, GSAT-31 is configured on ISRO’s enhanced I-2K bus structure to provide communications services from geostationary orbit in Ku-band for a lifetime greater than 15 years. The satellite was deployed at the T+42 minute mark.